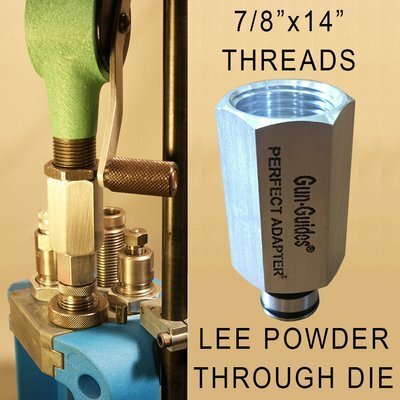 LEE (ROUND) Adapters work specifically with the LEE Perfect Powder Measure. (#90058) & LEE Powder Through Pistol Die or the LEE RIFLE CHARGING DIE (#90194). 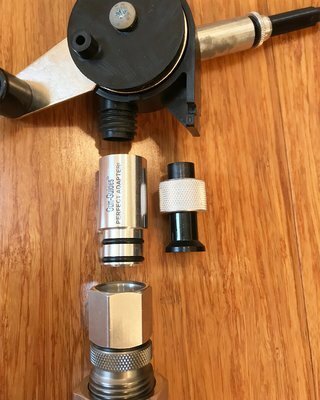 UNIVERSAL (HEXAGONAL) Adapters work with ANY 7/8" x 14" Powder Measure. 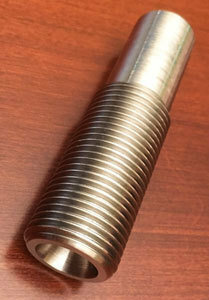 (RCBS, Hornady, Lyman, etc.) & LEE Powder Through Pistol Die or the LEE RIFLE CHARGING DIE (#90194). 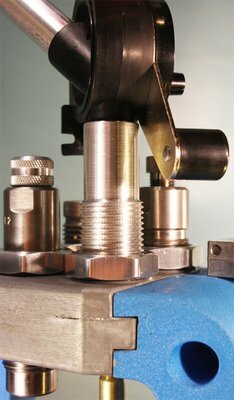 and threads directly into to your standard 7/8" x 14" toolhead, turret, or reloading press.